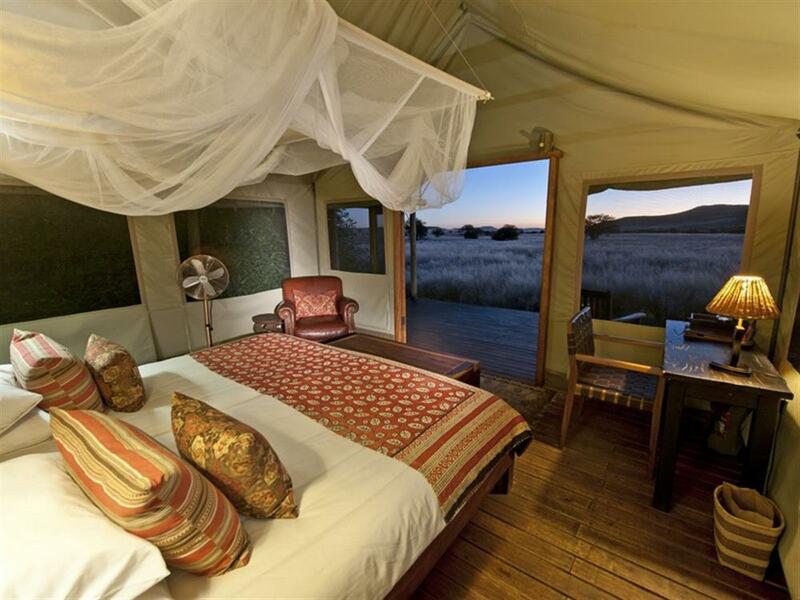 Desert Rhino Camp lies amongst rocky hills in the 450,000 hectare Palmwag Concession. 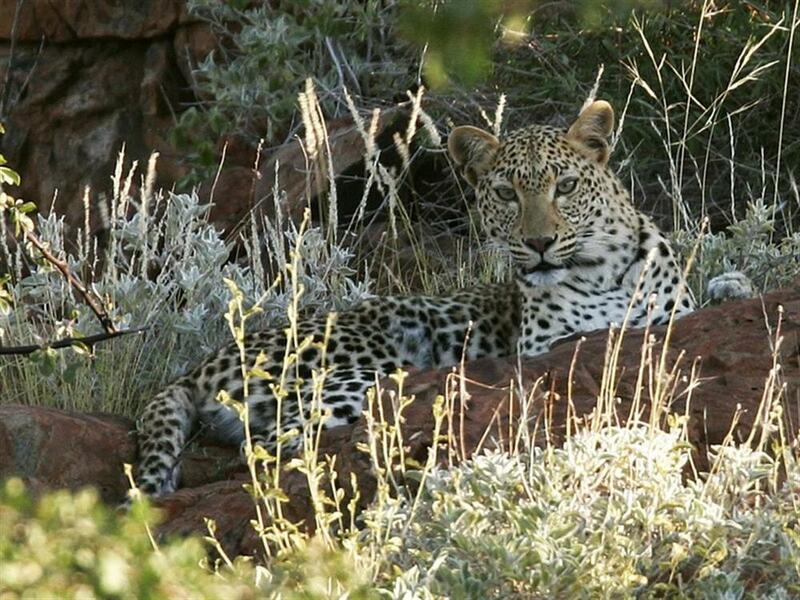 This region is marked for its tranquil, minimalist beauty, surprising wealth of arid-adapted wildlife and the largest free roaming black rhino population in Africa. Desert Rhino Camp functions as a collaborative effort between Wilderness Safaris and the Save the Rhino Trust (SRT). Having barely survived the slaughter of the '80s and '90s throughout other parts of Africa, the black rhino population has doubled since the formation of the SRT. 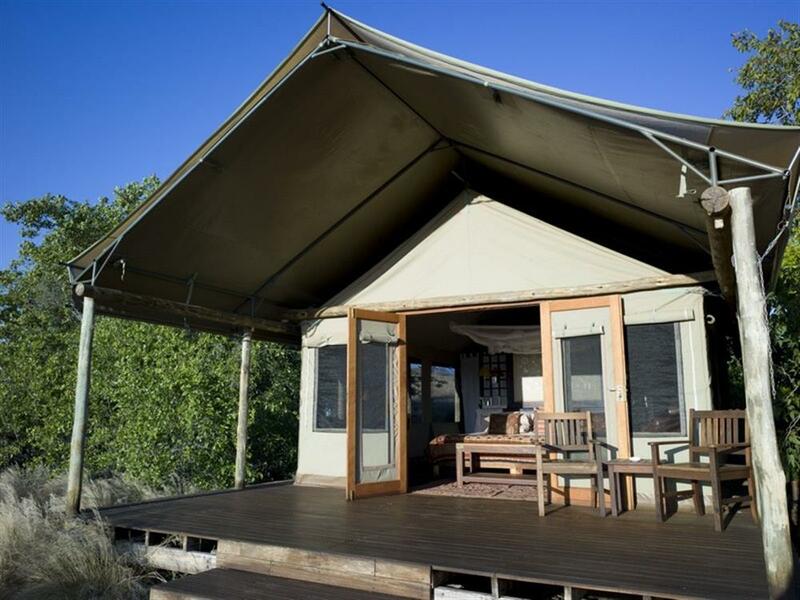 Set in a wide valley, accommodation at Desert Rhino Camp is in the form of 8 Meru-style canvas tents that sleep up to 16 guests. 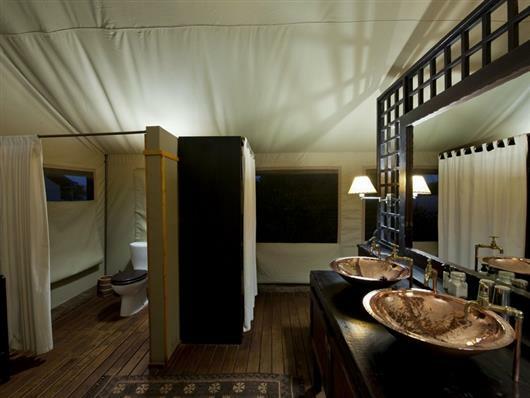 Raised from the ground on a wooden deck, each tent features an en suite bathroom with a hand basin, flush toilet and shower. An extension of the deck functions as a front veranda where guests can relax in director's chairs to take in the views of the surrounding desert and Etendeka Mountains. The tented dining and lounge area of the camp is also raised on a wooden deck in a single tent which is open plan and has partially open sides offering panoramic views. 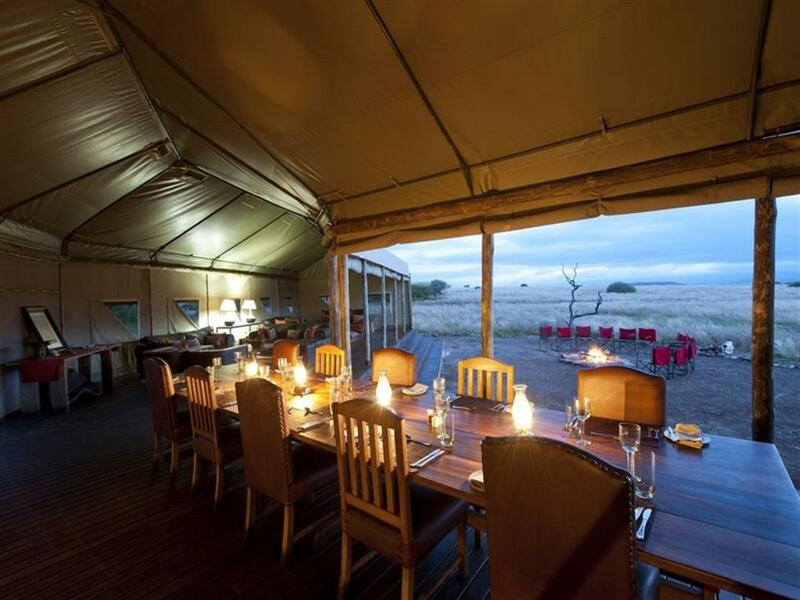 Evening meals are taken around the fire pit, in front of the lapa, where guests can relax and socialise. 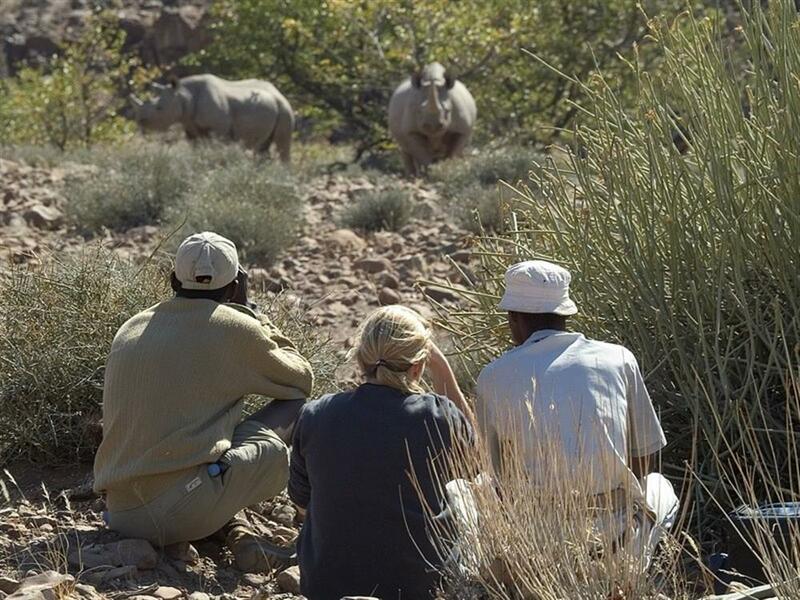 Activities at Desert Rhino Camp include rhino tracking on foot or by vehicle. 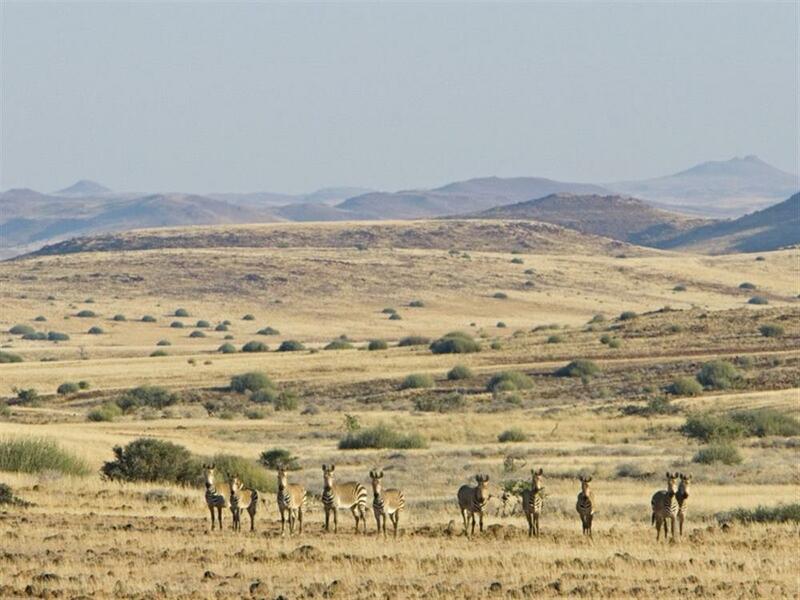 Other 4x4 outings are offered exploring this vast ecosystem with some of the most knowledgeable guides in Namibia.